I was wondering if you could provide any advice and exercises to help with balance. 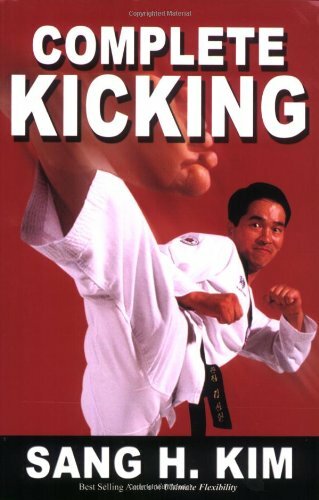 I find myself having difficulty with my kicking and not only the more advanced kicks, spin kicks, etc, but also the fundamental kicks as well. I am 38 years old and have been training in TKD for 4 years now. This balance problem along with my limited flexibility is making my advancement difficult. My name is Sohail from Scotland. I have most of your DVDs. You have done great work. First i want to say to all the students here the Complete Taekwondo Kicking is essential for every one doing Martial Arts. I want to ask how can we feel ki in body? If someone uses ki force in breaking, will he hit the target with the same force as the person without ki concept? Is it true people say ki and techniques together have different results as compared to only techniques alone. Thanks in advance. I am a 44 year-old cho dan student in Tae Kwon Do. I work out consistently in the dojang and at home (weights, NordicTrac, running), and have achieved a reasonably high level of ability and fitness for my age. A nagging problem that has exacerbated recently is upper-body rigidity. Sah Bum Nim reminds me constantly that my punches during forms (pyung ahn, cholgi, and black-belt level WTF) are being "pushed" and that they tend to rise as if I'm skiing. Also my elbow is traveling away from my body as I punch. He believes the source of my problem is that my shoulders are not sufficiently relaxed. Do you know of drills, exercises or techniques I can employ to solve this problem? If I "focus" on relaxing, I tend to tense up more! Hi my name is Richard Nieves. I love martial arts. I'm having difficulty with flexibility and speed. I'm 29 years old and I have heavy legs, strong but heavy. I'm 5ft 9 and my weight is 215lbs. I'm wondering, do you think I can reach to do a split at some point?